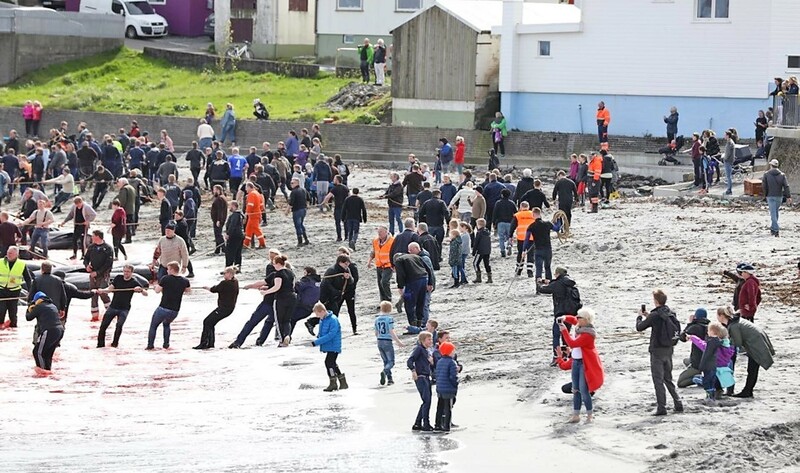 Faroe Islands – A bloody spectacle: Whales are forced to the beach by locals, to get slaughtered. It is ten o’clock in the morning on a bright May day, and Agnes Mols Mortensen harvests sea grass in the bay of Tjørnuvík, which looks like green spaghetti, when she receives a call. Pilot whales have been spotted in the fjord of Gotha, about an hour’s drive away, and they are currently being forced ashore by locals. At the same time, Mortensen has filled three boxes with the pasty grass and the sun shines warm and friendly in the sky above the bay. I came to the Faroe Islands to write about Mortensen. The 41-year-old is a biologist specializing in seaweed. She works as a scientist at a marine biology institute, while devoting the rest of her time to her own company, where she produces algae products — edible ones like the green “algae spaghetti”. By 10:30 A.M, the news comes that the fishermen have lost the whales. I find this good news; in my imagination, I see a small whale family swimming in the wide sea without being threatened. Mortensen is talking about how algae can help secure the future nutritional supply of a growing world population, when her phone rings again. The fishermen have relocated the whales and are about to drive them ashore once more. 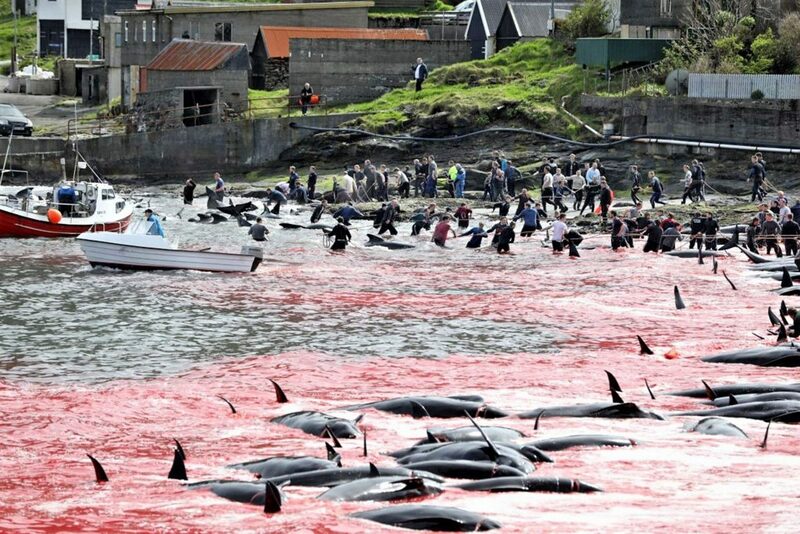 I knew, before I came to the Faroes, that whales are hunted here and the killing of them is not illegal. What I had not suspected before, was the extent of the killing. As I sit on a rock with Agnes, chatting about her research, we decide to go to the fjord of Gotha, because, as Mortensen says, “everyone is there”, including her husband and her daughter. At this point, I still believe that only some stray pilot whales are being driven ashore. I am not a squeamish person. As a journalist, I’ve been in both war and crisis zones. I know of human atrocities, having witnessed the death of schoolchildren from the terrorist attack in Beslan, North Ossetia, on September 1, 2004. I arrived there when their bodies were still in the schoolyard. I imagine that nothing can unsettle me anymore and maintaining a journalistic distance is possible when witnessing scenes of horror. If I had felt differently, I wouldn’t have gone to the fjord with Mortensen. In front of the bay of Gotha there are traffic jams with every available space blocked by cars. Several hundred people are on the beach, mostly families, and there is a folk festival-like atmosphere. Even now, the sea is red from the blood of the animals. As the census will later show, over 150 pilot whales were driven into the shallows. About a third of these are lying on the beach with their necks cut, the others are thrashing around in the water. More than a hundred men in rubber boots or wetsuits, some in everyday clothes, wade through the blood-water mixture to pull the struggling animals with ropes into even shallower water. Other men rush and cut deep into their necks. Some with knives, others with a lance-like device. 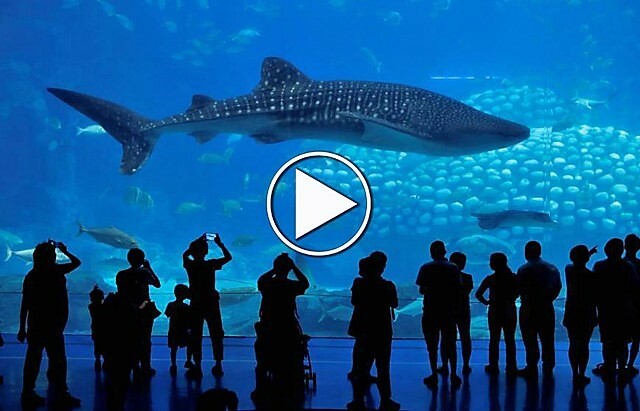 The juveniles scream in panic and beat wildly with their tail fin. Few of the animals die quickly, most still live for a few minutes and their agony is horrible. They whip the water, twist and turn, showering everyone involved and many of the spectators on the beach with blood. The atmosphere on the shore is one of good spirits. Children jump and dance on the cadavers as parents take pictures of them, small fingers touch the cuts in the necks of the slain animals. Girls take pictures of their friends, how they kill, how they stab and cut, how the blood squirts out of the whale in a gush. I walk along the beach and look into their faces, looking for one whose expression reflects the horror I feel. I search for people protesting, for activists filming the cruel slaughter, for one person, anyone, who is crying over this ordeal. There is nobody. Rather, people are laughing and the men are cheering at every animal driven ashore and killed, high-fiving each other as they proudly smear their faces with blood. A large whale fights for a particularly long time. Although he already has a gaping cut in his neck, and blood, a lot of blood flowing out, he will not die. His tail hits bystanders, throws them into the water, one and then another as someone pushes a blade into the whale’s spine. I want to help the animal, but I know it is too late for him. I look at my watch instead. It is an endless six minutes before the animal ceases to move. This mass slaughter took less than 30 minutes. Those who live by the fjord of Gotha and those who have killed queue to sign up for the lists. When the whales are cut up, everyone will get a share of meat and blubber. The crowd does not disperse quickly. People continue to chat and take pictures, as children hop from corpse to corpse. Finally, the whales are tied to boats with ropes and pulled into the nearby harbour. A crane hoists them ashore. They continue to bleed, turning the asphalt as red as the sea. The unloaded whales are hoisted onto forklifts, driven around like merchandise before being placed into rows. When I later search the Internet for information, I read that the whales do not get lost in the bays and fjords, but are already being spotted at sea. Indignant, the Faroe Islanders react strongly to being portrayed as “barbaric, merciless murderers” for their whale kills. 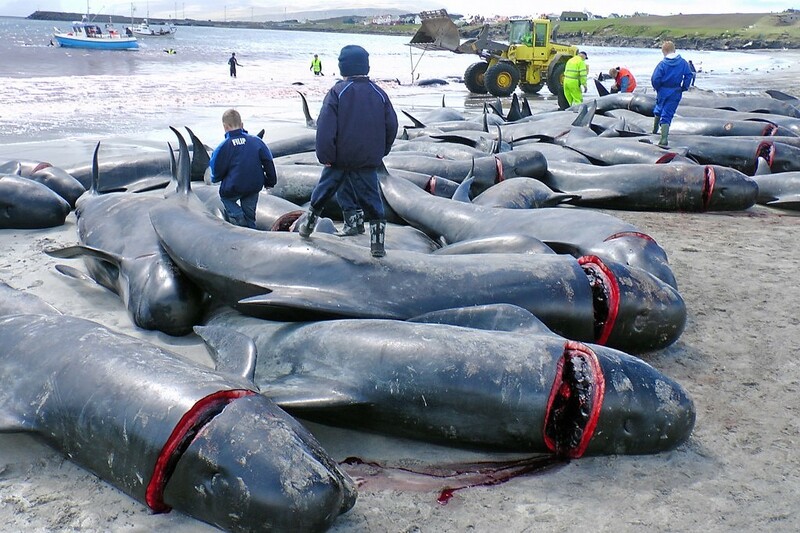 Any foreign attempt to prevent the Grindadráp – that’s the Faroese word for pilot whale killing – they regard as an interference to their rights and traditions. At the harbour, the long rows of dead whales displayed before me, I seek conversation with the local people, and ask them about pity for the animals, the horror of panic and pain felt by the whales and the sense of the killing. I try not to sound accusatory, but to stick to my feelings. I explain that it fills me with sadness, and it is a shock. I hear many sentences speaking of “tradition”, of “how it has always been here”, that pilot whales are not endangered and that the Faroe Islands does not let others tell them what to do. I persist with my questions about compassion and respect for other lives. I want to know, how one can harm such highly evolved beings without hesitation? I am told that in a slaughterhouse for cows or pigs there is no pity either. I spend more days with Agnes Mols Mortensen and get to know her as a woman who thinks a lot about sustainability and environmental protection, but who still defends the whale kills. What she tells me about the 18 islands in the middle of the Atlantic Ocean, about this archipelago inhabited by about 50,000 people, are stories about small kinds of microcosms far from the big world for almost a millennium. Barren islands where you can grow little and who almost exclusively keep sheep. You only survived if you took what you could get from the ocean, and that included whales. Driving a large pod ashore could decide whether islanders made it through the winter on a full stomach or starving. There were once reasons to celebrate the whale hunt. Like most remote worlds, the Faroe Islands got into a tailspin when it was reached by globalization, activism, by laws and opinions from distant mainland Europe, including “mainland” Denmark, whose requirements are frequently perceived as an imposition. This is a nation that would like to be on its own, with its own state and laws. After all, they have their own flag and passports, but they have to bow when it comes to fishing quotas. The Faroese feels more threatened by this globalization than by the rigors of nature, the ravages of the sea and by times of insufficiency. The right to continue whaling has become a symbol of the struggle for one’s own identity and way of life. Therefore, many Faroese continue to consume whale meat, despite knowing that it is contaminated with heavy metals to such an unhealthy degree that it can cause illnesses such as Parkinson’s disease, among others. As I pass the bay again the next morning, the water is still red. The pictures of dying animals will be ingrained in my mind for a long time. I struggle with traditions and self-assertion as excuses for the mercilessness I witnessed. Today, there are alternatives to whale meat. Nobody has to starve on these islands any more. They call it “tradition” and maybe that is right, but there ancestors didn’t have high powered boats and jet skis to drive in over 100 at a time. This is just greed not “tradition” as I’m sure there ancestors would tell them.!!!!! I am familiar with the history of why they kill whales on FI, Norway and Iceland. But it’s not a valid argument anymore. 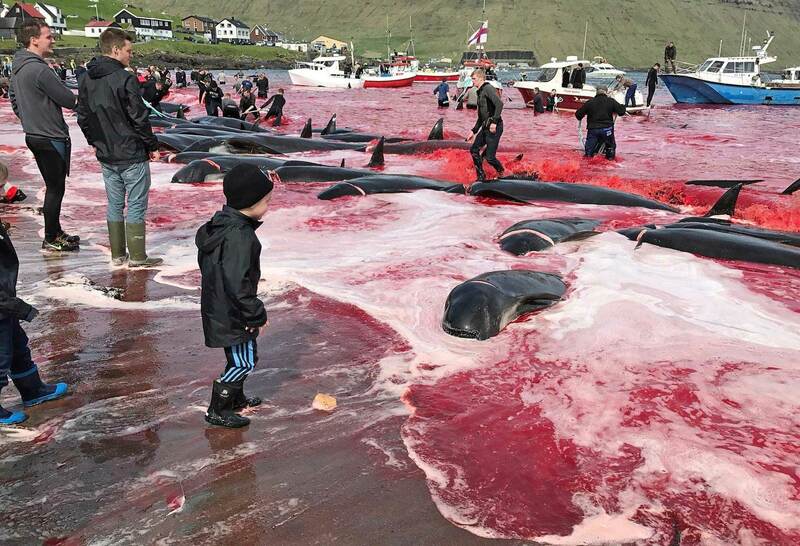 They don’t depend on the whale meat to survive anymore, neither in the Faroe Islands, Norway or in Iceland. Fact is a lot of them don’t even eat the meat! Culture and traditions? Yes maybe. But traditions change. Once in Denmark we had traditions for burning women alive if they were suspected to be a witch. We stopped that “tradition” many years ago … Maybe time to evaluate ancient traditions for whaling!! I don’t think that this bloodbath and killing all these whales benefit anyone! It’s needless killing and should be stopped! *** This is not ok, this may be looked at as a tradition but this is nothing to celebrate. Killing innocent animals for fun and having kids watch and learn at a young age is one of the most sick things I’ve ever heard of. I will never go anywhere near these islands as long as I live. I’m curious if there is evidence that the locals don’t eat all the meat? 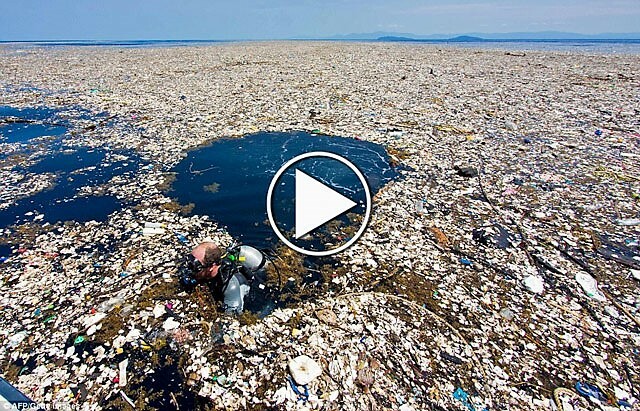 A shame for the World! A shame for World and Denmark. They kill also protected birds on Faeroe Island. Whatever tradition and local low they have, and I knew for that, I have to share Earth with them. So STOP with killing and behave as humans. Its disgusting there is a point where traditions have to change!! This is one of these situations if they don’t need the whale meat let them live without being hurt or killed. I’m apalled that such beatiful sweet family ortianted marine mammals can be killed like this. Someone needs to do something these whales are entitled to their lives like everything else that is living. This has to stop now! Im disgusted. What can we Do? What can I Do? 150?!!! Whales slaughtered. OMG! My ancestors are from Denmark and Im ashamed! These whales belong to us too! This is disgusting and cruel not to mention pointless and harmful to the ppl of the island due to the high levels of Mercury in the whale meat.